chief chicken wrangler, mulch maker, apiarist, fencer and carpenter – happiest with friends listening to good music by the fireside. keeper of the home and hearth, preserver of the harvests, baker, marketeer and backyard gardener – loves small pots of tea, long baths and walks in wilderness. 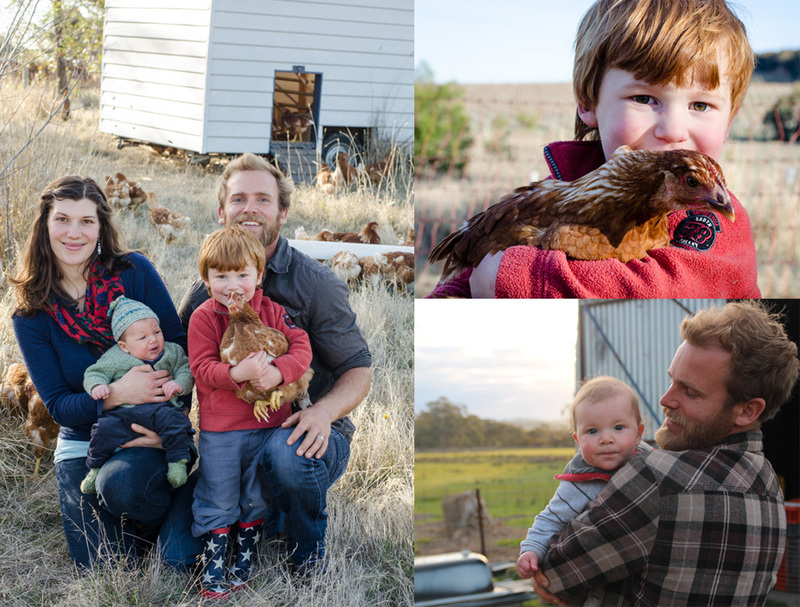 rambunctious three-year-old – happiest when outdoors, chasing chickens, building train tracks, running matchbox cars and devouring crispy chicken skin. a wise young soul, thriving at babyhood – seen often giving furrowed brows and milky smiles. what an interesting and beautiful family you are! This is too weird! I am in France right now and just went to the Alps because nature, stomping out a good load of powder and art are my passions. Not to mention a Christ centered community of people sharing and growing together aiming to reach out to those who want a saviour. Basically what I’m saying here is, I want to brainstorm with your family and possibly meet somehow over the next year on how to combine all those passions and potentially spread them globally. Time to put in a photo of the gorgeous Master Beren, metninks. Love your photos, blog and instagram. So much beauty, warmth and kindness.